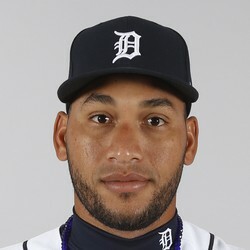 Victor Reyes exploded at the plate on Sunday going 4-for-5 with one strikeout, three RBI, and two runs scored during the afternoon win over the New York Yankees. His home run came in the six inning with no one on base. Reyes has not been particularly impressive as of late only hitting .228/.245/.294 through the beginning of September. However, if this game is a sign of things to come, keep him on the radar, especially in deeper dynasty leagues.